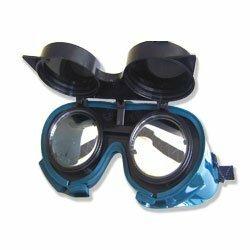 These goggles that will look great atop your forehead, giving you the look of a true mad scientist. This lab coat is about as close as you’re going to find, and only a truly dedicated (and obsessive) geek would actually call you out on the inconsistencies. 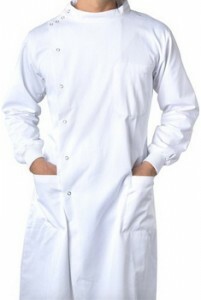 That said, if the price is a bit steep for you, there are no shortage of cheap generic lab coats out there. Nice white welding gloves are key to the costume. This pair looks the part perfectly and are quite affordable. 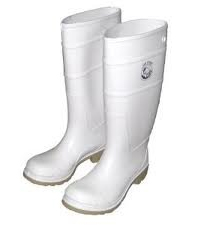 White rubber fishing boots. What more can I say? This is probably the least important part of the costume. I’m not saying you shouldn’t wear pants (because you should), but just swing by your local department store, pick up a pair of beige pants, then tuck them in to the boots. Personally, I’d just wear a pair of khakis that I already own. Congratulations! You are now a fully suited-up Dr. Horrible. Feel free to shun any friends who don’t get the reference.